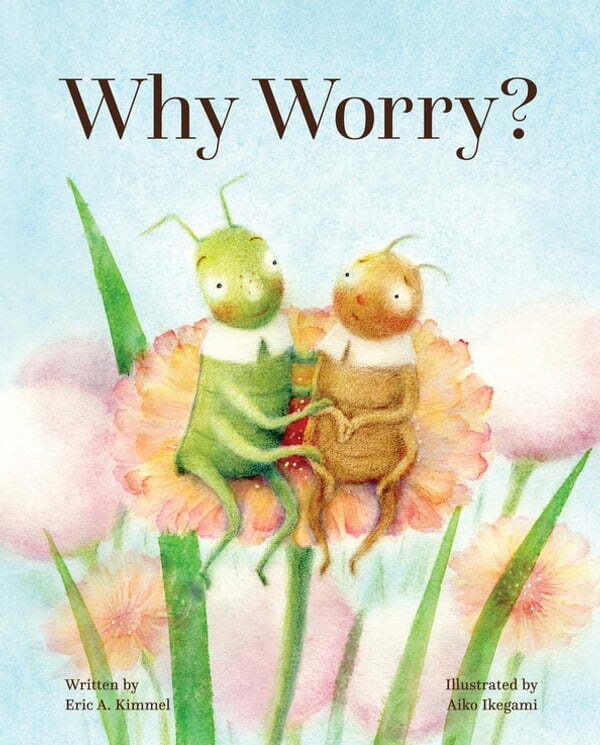 Told through soft, gorgeous color illustrations, Why Worry is a gentle story of two friends swept into the unpredictable wilderness and how, despite feeling anxiety and worries, they find peace and calmness together. Once upon a time there were two good friends, Cricket and Grasshopper. Cricket always worried. Grasshopper never did. Cricket and Grasshopper go on a high-flying, wild adventure and encounter a large crow, a hungry fish, powerful winds, and more. But while Grasshopper is having the time of her life, Cricket can’t help but worry if they’ll be safe, where they’re going, and how they’ll return home. Though the two have differing perspectives, Grasshopper and Cricket find support in each other through acceptance and patience. Originally published in 1979, Why Worry? is a soothing tale that teaches understanding and empathy of people who experience anxiety, and how to support and alleviate those worries.